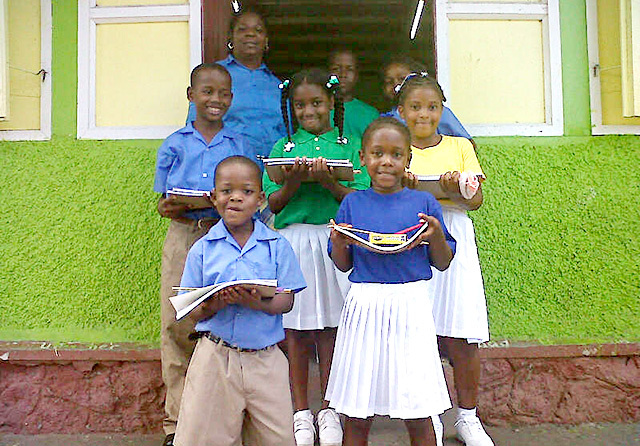 An empowering nonprofit organization, School Supplies For Dominican Youth (SS4DY) is currently preparing for its 3rd Annual Summer Distribution scheduled for August of 2014.The organization was formed in July 2012 by April Anselm, a Dominican based in San Antonio Texas, to assist students on the island of Dominica with basic school supplies. Every year, SS4DY relies on the generosity of its volunteers, donors and a few entities to keep supplying the children with basic supplies needed to ensure a meaningful education. The public is asked to donate school supplies or make monetary donations. This is a great opportunity for anyone from the diaspora who have wanted to give back to the island; simply donate and SS4DY will assist as many kids as possible. All cash collected go directly to purchasing school supplies or to the shipping of collected items to the island. School Supplies for Dominican Youth would like to ensure that everyone on the island is aware that assistance is available. SS4DY is committed to the island and its education and would like for all proud Dominicans and others to join us on this great venture. To request information, contact us, pre-order a SS4DY T-shirt, make a donation, or to locate the many drop off locations available across the US and Canada.